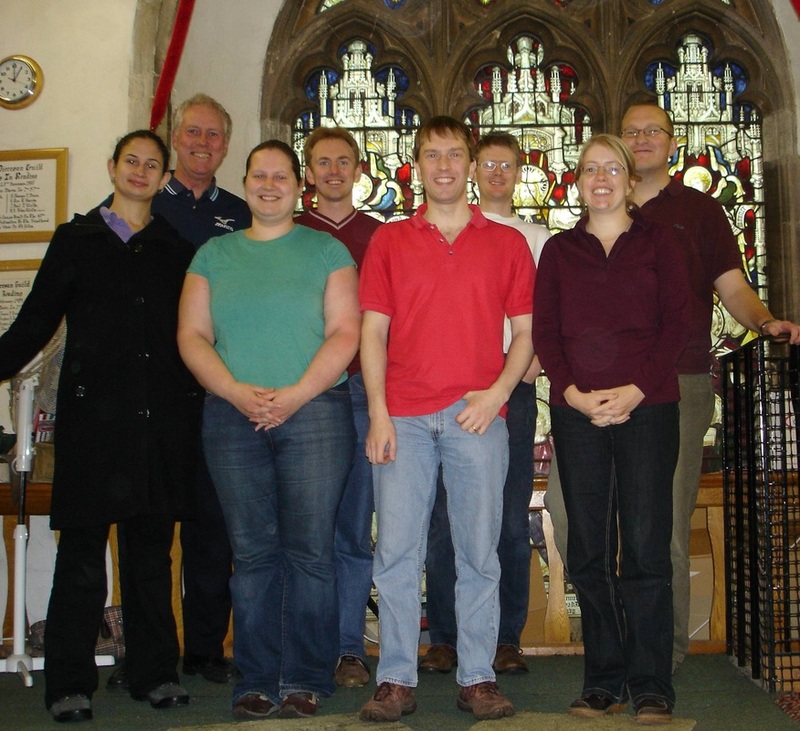 On Saturday 17th November 2007, the 100th peal to be rung at St. Giles-in-Reading was scored by local Sunday morning ringers. 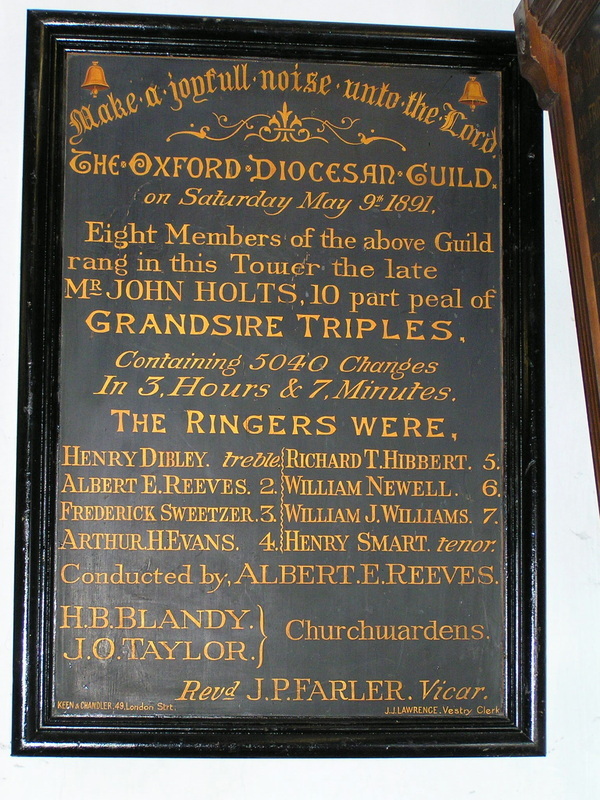 The first peal at St. Giles was rung on Saturday 9th May 1891 (see photo of the peal board below). The diamond wedding anniversary of the Queen and Prince Philip provided the ideal opportunity for another attempt; the first attempt on a hot Sunday afternoon in June unfortunately fell apart after 2 hours 10 minutes. Ringing conditions were more favourable this time and the desire to achieve the milestone by the end of the year resulted in a very good performance of Plain Bob Triples which no doubt entertained the stationary queues for the Oracle in Southampton Street! As well as marking royal and tower milestones, the peal enabled several personal milestones to be achieved; the first peal for the tenor ringer, first on 8 bells and first inside for the 2nd ringer and the first as conductor. Due to the hard work of Chris Phillips and Keith Vernon, 2007 has seen the re-hanging of all the peal boards at St. Giles, including the addition of a peal board to celebrate the local band peal for the Golden Jubilee and space was allocated for another to record all the achievements represented by this latest peal. 100th peal on the bells. To celebrate the diamond wedding anniversary of HM Queen Elizabeth II and HRH Prince Philip. First on 8 and first inside: 2. The photo shows the band in the tower shortly after completion. Front row l-r: Gemma Weston (1), Kate Davis (2), Steve Bennett (3), Sarah Barrett (4). Back row l-r: Chris Phillips (8), Chris Barrett(7) (C), Peter Ellis(6), Andy Smith(5).